Accent your seaside dining room with the Crab Single Serve Salad Bowl. 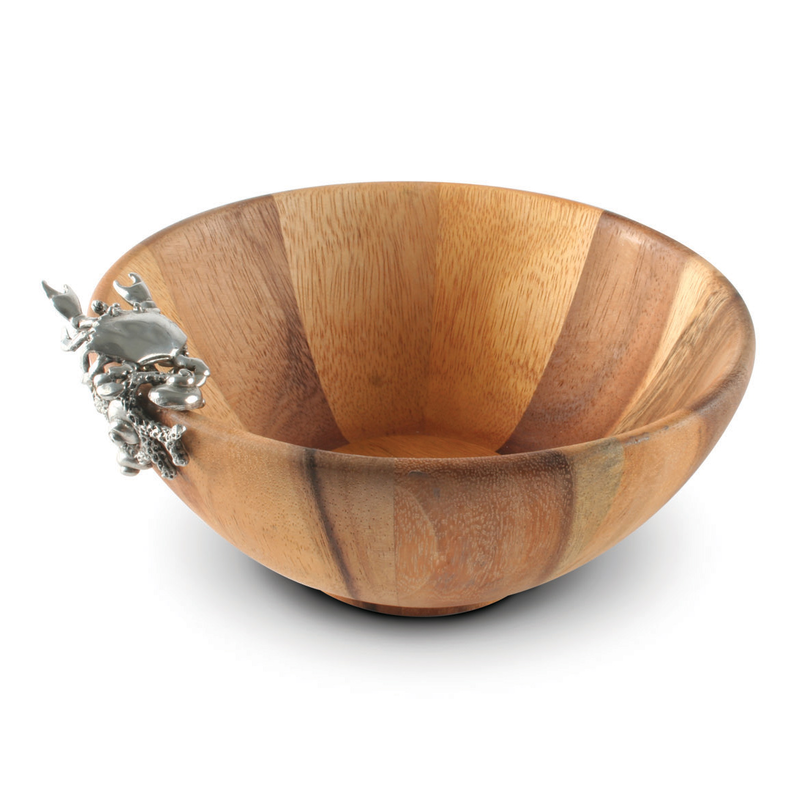 This beautiful salad bowl features a gently sloped acacia wood bowl embellished with a detailed pewter crab scooting through a coral bed along the rim. This coastal dinnerware ships from the manufacturer. Allow 3 to 4 weeks. Cannot express ship. For further products, we ask you to make time to browse our comprehensive inventory of coastal dinnerware at Bella Coastal Decor now.